The price tag for a custom-built or high-quality standard office desk is noticeably different from the price tag on those “We Ship To You!” alternatives. Odds are, once you get your cheap desk out of the box – in 500 pieces – and begin putting the pressed particleboard and faux-wood laminated pieces together, you’ll realize why. The reality is that cheap office desk furniture can never compete with a solidly made counterpart that will last for decades. Here’s a secret for you: If you invest right now in a high-quality desk from an exceptional local furniture store, you’ll never have to buy new office furniture again. In other words, it’s investing in high-quality office furniture is the most affordable way to go because it saves you the repeat buys of overseas-manufactured pieces that hardly last at all. Accurately measure the dimensions of your office space, including the height of the ceiling. This will help us select furniture that is in proportion to the room. Buying office furniture that is the right size and dimensions for your office space will go a long way toward keeping your office looking spacious, organized and uncluttered. Desk furniture has transformed quite a bit in the last couple of decades in response to innovative office technology. The type of worker you are will determine the type of office furniture you need. Start looking at how you work – or how you would like to work. Do you still use a traditional desktop computer, or do you only use your laptop? Is there a landline? Do you work in a seated position all the time or would you like a standing option as well? What about the shape? Would a corner desk be more appropriate than a desk in a single line? Analyzing how you work will help us to determine which type of office desk and furniture will be the most functional for you. 3. What size desk do you need? Another wonderful thing about working with a furniture store that specializes in custom office furniture is that you can choose furniture that is ergonomically correct for your size and frame. Wish your desk was a little taller/shorter/wider/angled/ etc.? We can take that wish list along with a few measurements and create customized office desk and furniture options that are more comfortable for you. You’ll notice a difference in the very first hour you work. 4. What style should I be looking for? Ultimately, this is your working space so you should get whatever style works for you. Or is it? Perhaps your office desk is something the whole family will use, or maybe it’s to be placed in a more visible area of your home. In this case, we recommend choosing a style, wood and/or finishes that blend with your current interior design. Transitional desks are always a good option. Small changes here or there can make them look more traditional or modern, which makes them easy to move with you into a new home, pass on to an adult child later on or sell for a good price when your working days are done. 5. What office accessories do you need? From printer stands and book shelves to filing cabinets and stylish office chairs, the accessories you choose will determine the overall aesthetic style, function and comfort of your office. We can help you find pieces that will work with your style and complement each other so you aren’t stuck with a matchy-matchy office furniture arrangement. 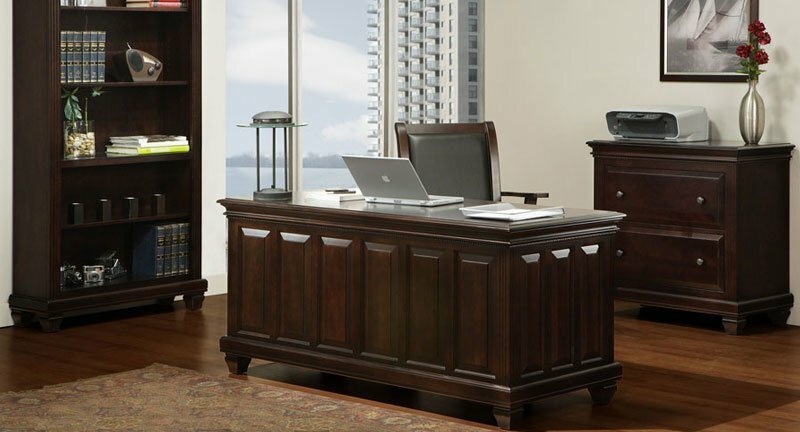 You’ll be able to choose from our custom upholstery and wood finishes so the complete office desk set is uniquely yours. Looking forward to finally having that high-quality office furniture you’ve always wanted? 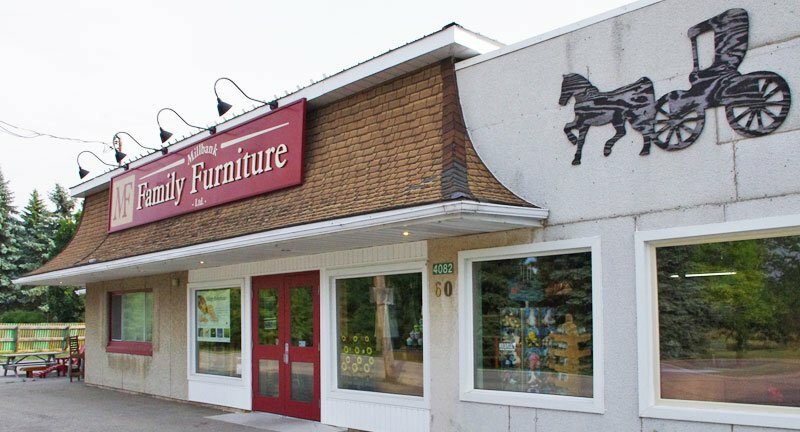 Come on in to Millbank Family Furniture or contact us to schedule an appointment. We look forward to seating you in style.